Jessica is one of those rarities- someone who was both born in Washington, DC and still lives there today. After graduating from UMBC (University of Maryland Baltimore County) in 2007 with a BA in Graphic Design and a minor in Art History, she came back home to DC seeking work and a fresh perspective on a familiar town. 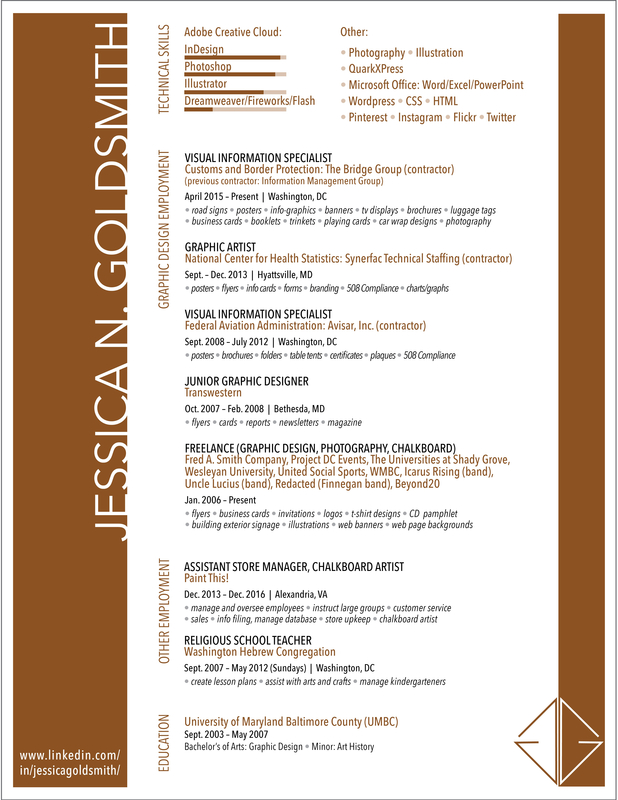 As a designer primarily, Jessica has created materials for all sorts of acronyms (such as UMBC, UMD, FAA, CDC, CBP, TBG) as well as several musicians and other businesses. She is most passionate about print design, specifically typography, and loves photography as well as handwriting as an art form.